Kittitas County is located in the center of Washington, just east of the Cascade Mountains and national forests that divide the state almost down the middle. Its population is 41,000 and the county seat and largest city is Ellensburg, population 18,000. Besides Ellensburg, the county is sparsely populated. Other communities include Cle Elum, Kittitas, Roslyn, and Thorp. The Yakima River runs through the middle of the county and the Columbia River creates the eastern border with Grant County. Kittitas incorporates parts of the Cascade Mountain range, Okanogan-Wenatchee and Mt. Baker-Snoqualmie National Forests. Not surprisingly, it is known for a wide variety of recreational activities such as fishing, camping, hiking, horseback riding, and winter sports. 3 Beds | 2.5 Baths | 2364 sq. Ft.
4 Beds | 3 Baths | 3022 sq. Ft.
1 Beds | 1.5 Baths | 1040 sq. Ft.
5 Beds | 3 Baths | 2723 sq. Ft.
1 Beds | 1 Baths | 936 sq. Ft.
Blue Summit Realty has the most accurate and up to date Kittitas County real estate listings on the web. Currently there are 182 homes for sale, 10 condos for sale, 4 rental properties, and 288 vacant land properties in Kittitas County. Of the 485 total Kittitas County residential listings for sale 0 are bank owned, 0 are short sales and 46 are new construction and 0 are townhomes. The price ranges from $99,000 to $28,000,000 with a median list price of $625,377 and median sold price of $370,956. 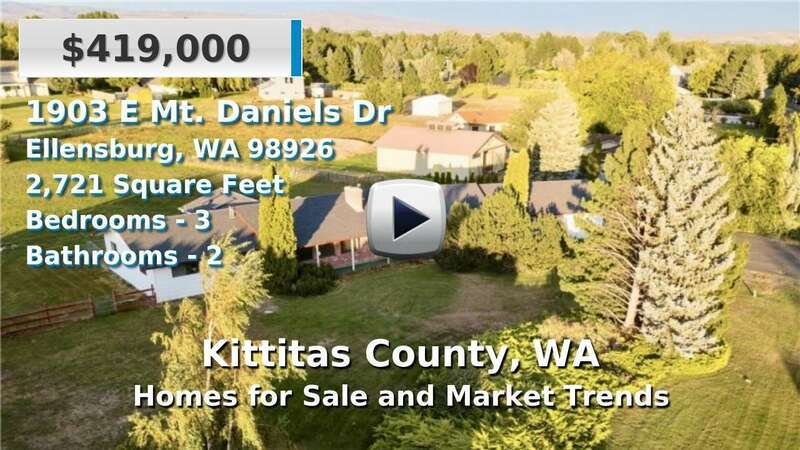 Make sure to refine your Kittitas County real estate search by property type, price, square footage, bedrooms, bathrooms and more with the search tool above or view the Kittitas County listings on our interactive map. Our Kittitas County real estate listings were updated 15 minutes ago.